Pressure Reducing (or Relief) Valves (PRV's) function to divert the water and pressure from the turbine should an untoward incident take place, and they are designed to open in an instant when tripped, thereby preventing serious pressure spikes in the penstock. 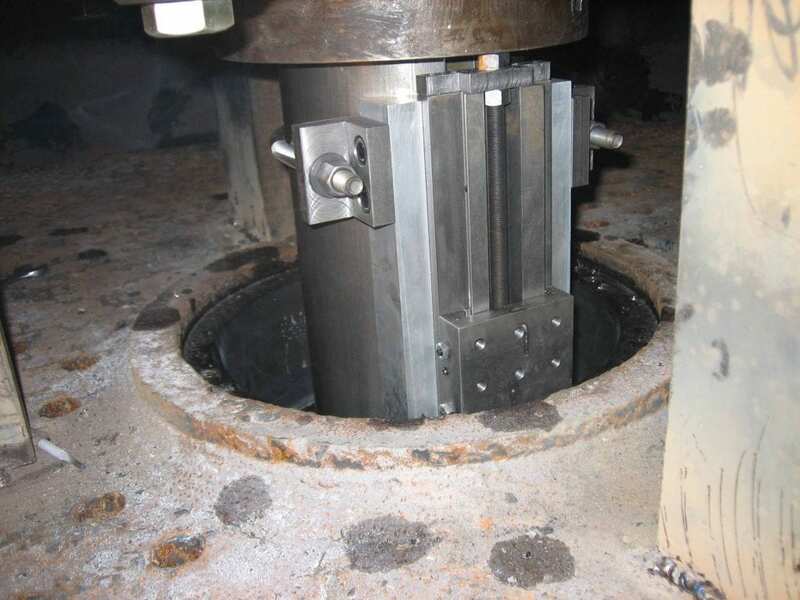 The photos below show various boring bar setups used in the rebuild of these valves. We also bolted in stainless liner plates below the seat ring of one of these PRV's where the wall of the valve had been largely destroyed by the forces of cavitation. This part of the valve was mostly spherical, and so it was necessary to build a special hydraulic drill that would adjust to all angles or elevations and rotation in order to get the holes radial to the center point of the sphere.